Are you feeling angry and don't know why? Are you struggling to feel connected to your friends and family members? Re-integrating to post-war life can be hard. You may have found that your relationships with friends and family have changed. You may feel angry and don't know how to control your feelings. You may feel disinterested in activities that you used to enjoy. If you are experiencing any of the above, we are here to help. In addition to helping veterans to reconnect with friends, family, and post-war life, we also address concerns related to posttraumatic stress disorder (PTSD), anxiety, traumatic brain injury (TBI), and depression. Sometimes you just need a place away from everyone else to reconnect with yourself. 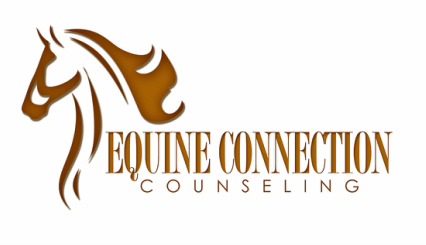 Here at Equine Connection Counseling, we can help you find peace and tranquility. Being outside in nature, surrounded by trees and horses, can provide this space for you. Many veterans report feeling more at ease here than anywhere else in the world. Here you will have the opportunity to spend time interacting with horses while also working through your concerns. We are happy to serve veterans of all eras and look forward to serving you. Do you feel that your partner has changed since deployment? Do you feel that you have changed? Are you struggling to adjust to life while your partner is deployed? The difficulty of re-integration does not just affect the veteran, but also spouses and children. You may feel that your relationship has changed and are unsure how to reconnect and move forward. You may find yourself feeling anxious and depressed. You may struggle to make sense of your partner's traumatic experiences while he or she was serving. If you are experiencing any of these concerns, we are here to help. Children in military families often struggle when one or both parents are deployed. Children often feel confused and scared about their parent's absence and return from deployment. Anytime the family experiences changes, such as with deployment and subsequent re-integration, children may struggle to make sense of the new dynamics. In addition, many children see and hear things about their parent's experience while serving that they are unable to process and understand. In these instances, many children and adolescents experience mental health problems such as difficulty with attention/concentration, depression, anxiety, worry, nightmares, aggression, acting out, and other forms of misbehavior. We are happy to offer services for the children of service-members including both play therapy and equine-assisted counseling. To learn more about play therapy services for young children, click here.